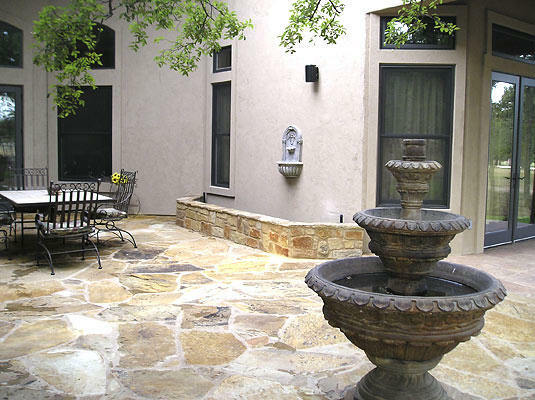 Many Northeast Dallas and Southlake-area homes feature a patio or hardscape because of their unique versatility. A Dallas custom hardscape can serve as the perfect place to host a barbecue, a party for the kids, or even around a pool or backyard water feature. 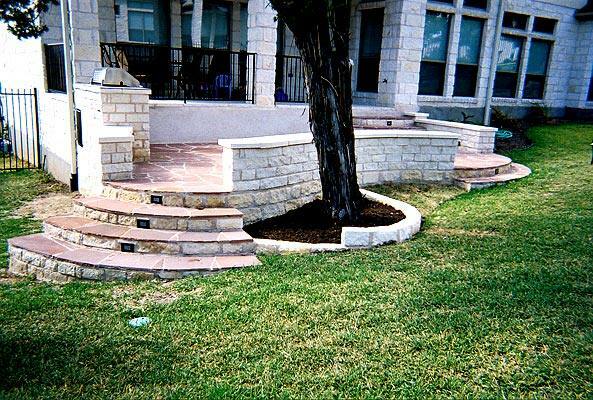 In fact, a single custom hardscape design can perform all of these functions at once. While patios were once only designed with functionality in mind, today patios can be customized to be both stylish and functional! Everyone deserves an outdoor living space that speaks to their individual requirements and offers a unique style that shows off your personal touch. Why not design a patio that matches those dreams? 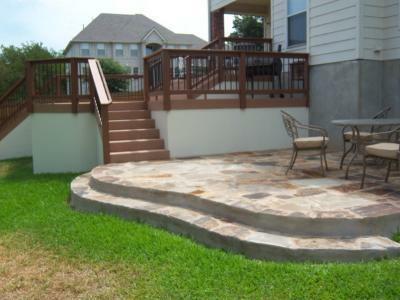 At Archadeck of NE Dallas-Southlake, we feature the widest variety of patio design options on the market. Implemented with the expertise of experienced professionals, every client can bring their dreams to life! When it comes to patio design, selecting the proper finishing touches is key. Trust a professional patio builder to help create the perfect design and finishes for you. Just a few of the options include flagstone, brick paver, and stamped concrete. All of these finishes bring out different elements of a patio that will impress everyone. While some people might be satisfied with stamped concrete for meeting the needs of young children, other people might prefer a more textured feel for hosting large gatherings with family and friends. From modern to classic, the choice is yours. Find the finish that best suits your needs. The flexibility offered by Archadeck of Northeast Dallas is twofold. First, there are a myriad of options between wood, concrete, and brick. Combining those options with the various styles and finishes means that there is almost an endless supply of options available for everyone to customize their patio design to their design desires. Second is that a variety of options gives you flexibility in function. Because there are so many choices, we can meet everyone’s needs. 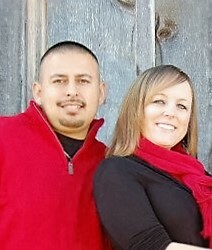 Customers are free to customize their design to match their own styles. At Archadeck, we offer more than simple patios and hardscape design. We work hard to put together an elegant patio or an impressive architectural hardscape. If you can dream it, trust our professional patio builders to bring it to life.